Divorce mediation is a process in which an independent, neutral, third party (a mediator) meets with you and your spouse and tries to help the two of you work out an agreement in your case. The mediator doesn’t represent you or your spouse. Rather, the mediator acts as a facilitator to help you and your spouse talk to each other constructively, and come up with a settlement that each of you will accept. Divorce mediators are typically lawyers, mental health practitioners, divorce financial planners, or other professionals who have special training in both mediation and divorce. Regardless of his/her background, a divorce mediator does not represent either you or your spouse. A divorce mediator can not act as your therapist, or give you legal advice. If you have legal questions, you can (and should) hire a lawyer to give you legal advice. 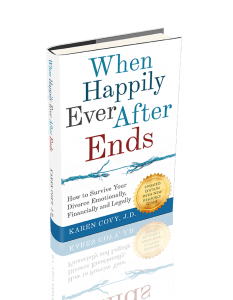 The sole function of a divorce mediator is to help you brainstorm ideas, re-frame your issues, and come up with a creative settlement that will satisfy both you and your spouse. 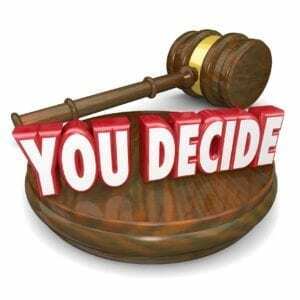 Will Divorce Mediation Resolve My Case? Divorce mediation can be an incredibly successful way of resolving your conflicts with your spouse in a healthy way. But, it is not a substitute for going to court. A divorce mediator is not a judge. S/he has no power to order you or your spouse to do anything, nor does the mediator have the power to actually grant your divorce. Only a judge can do that. The mediator’s sole job is to help you settle your own case in a way that makes the most sense for you and your family. For divorce mediation to work properly, you and your spouse both have to agree to come clean with your financial information. You both have to produce all of the documents needed to show your income, expenses, assets and debts. Then you sit down with the mediator, brainstorm options, and resolve whatever issues exist between you. Once you’ve reached an agreement, the mediator will write up that agreement for you and your spouse. That agreement then will become the basis for (or it will be made a part of) your final court documents. Since a divorce mediator can’t give you legal advice, and only a judge can grant you a divorce, you may be wondering why you should bother using a mediator at all? The answer is simple: the mediator will help you work out an agreement you can live with. If you could negotiate directly with your spouse, you wouldn’t need a mediator. If you try divorce negotiation on your own, you may not end up with an agreement that satisfies you. If you litigate your divorce, you may not (and probably would not) be totally happy with the judge’s decision. Mediation allows you to negotiate with your spouse in a safe environment. It also allows you to be creative in your agreement. You can make deals in mediation that no judge would ever order in court. 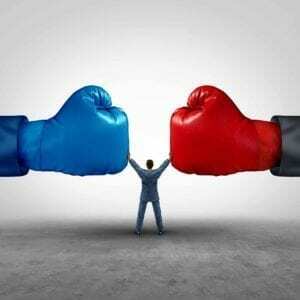 Divorce mediation is usually much faster, less expensive, and less traumatic, than fighting in court. It is more private than going through the court system, causes less emotional wear and tear (although, its still difficult), and allows you to have a greater measure of control over your own life, your own family and your own future. To get a Divorce Process Comparison Chart that will help you decide which divorce process is best for you, click the button below.